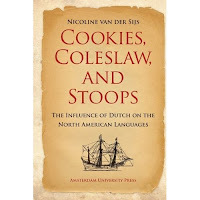 To commemorate the 400th anniversary of the Dutch arrival off the coast of Manhattan, the renowned linguist Nicoline van der Sijs along with Amsterdam University Press have published Cookies, Coleslaw, and Stoops: The Influence of Dutch on the North American Languages . From Santa Claus (after the Dutch folklore saint Sinterklaas) and his sleigh (the pronunciation of the Dutch slee is almost identical) to a dumbhead talking poppycock, the contributions of the Dutch language to American English are indelibly embedded in some of our most vernacular terms and expressions. This fascinating volume charts over 250 Dutch loan words that journeyed over the Atlantic on Henry Hudson’s ship the Halve Maan and into the American territory and languages. Each entry marks the original arrival of a particular term to American English and offers information on its evolving meaning, etymology, and regional spread. As you might expect, my desk-side book shelves are heavily burdened with Adirondack books. Guides to hiking, climbing, wildlife, forestry; books of photography, sit beside fiction and various technical reports – all here within easy reach. Most are history – general histories, political histories, environmental and cultural histories, books on logging, tanning, prohibition, Native Americans, county histories. Recently I received a tidy volume on Adirondack logging history that focuses on Warren County, Phillip J. Harris’s Adirondack, Lumber Capital of the World , which seems to have drawn from them all to good effect. Harris’s book takes on, with incredible detail, the people and places that made the southeastern Adirondacks unique in the history of the American lumber industry. In 1850, New York produced more lumber – about a billion board feet a year from around a half million trees – than any other state in the nation. Southern Warren County was where much of the lumber was milled and where the Adirondack lumber barons reigned. 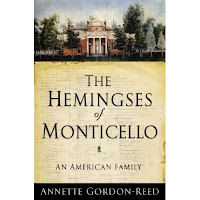 Their names, James Morgan, William, Norman and Alison Fox, Jones Ordway, James Caldwell, John Thurman, Samuel Prime, Henry Crandall, Zenus VanDusen, Jeremiah and Daniel Finch, Augustus Sherman, George Freeman, William McEchron, are found scattered through the county’s history books – until now. Harris’s book takes on the large and small, from the first pioneers and their patents, to the lumber camps, jobbers, log drives, log marks, and sawmills. 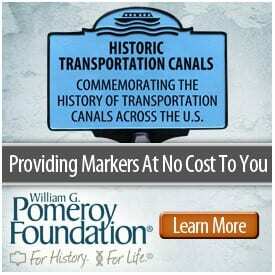 The Delaware and Hudson Railroad is featured in one chapter, the Fort William Henry Hotel in another. In 1865 there were some 4,000 sawmills in New York State, one hundred years later there were fewer the 200 – today, maybe fewer then 50. One of the bigger contributions Harris makes to the history of the Adirondack lumber industry is in explaining how that came to pass. This summer the film “The Wizard of Oz” marked its 70th anniversary. Just in time comes The Real Wizard of Oz: The Life and Times of L. Frank Baum by Rebecca Loncraine, the first full biography of L. Frank Baum – from his birth in 1856 and his youth in the Finger Lakes region, to the years following his death – that looks at the people, places, history, culture, and literature that influenced the renowned storyteller. From the Civil War to women’s suffrage, from amputation to modern medicine, from psychics to industrialization, Baum saw it all and it was reflected in his writings. Loncraine is an acknowledged expert on Oz and Baum who traveled the US to study him, his works and the impact they had on our culture for the book. Was OZ really named from the O-Z on his file cabinet? Was the book really a reaction to the Populist party? What was Baum’s incredible connection to PT Barnum? Bill Greer (a trustee of the New Netherland Institute) will talk about painting a portrait of New Netherland in a work of fiction, using his novel The Mevrouw Who Saved Manhattan: A Novel of New Amsterdam and the life of Peter Stuyvesant, Director general of the New Netherland colony. 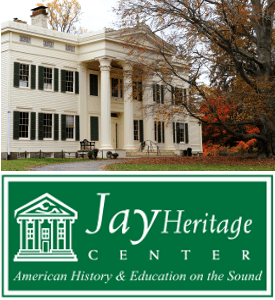 The event will take place on November 19th at the Hagaman Historical Society, Pawling Hall, 86 Pawling Street, in Hagaman (Montgomery County), NY at 7 pm. A book-release party for the reprint of the classic Adirondack history “Mostly Spruce and Hemlock” will be held from 7 to 9 p.m. Thursday, Nov. 19, 2009 at the Goff-Nelson Memorial Library, 41 Lake St., in Tupper Lake. The party will feature brief comments from library officials, Tupper Lake Free Press Publisher Dan McClelland, index author Carol Payment Poole, and publisher Andy Flynn. Refreshments will be served, and historical exhibits will be on display throughout the library. Stretching over four miles through the center of the West Bronx, the Grand Boulevard and Concourse, known simply as the Grand Concourse, has served as a silent witness to the changing face of the Bronx, and New York City, for a century. To coincide with the Concourse’s centennial, New York Times editor Constance Rosenblum has written a book, Boulevard of Dreams: Heady Times, Heartbreak, and Hope along the Grand Concourse in the Bronx that brings to life this historic street. Designed by a French engineer in the late nineteenth century to echo the elegance and grandeur of the Champs Elysées in Paris, the Concourse was nearly twenty years in the making (it celebrated its centennial in November). Over that century it has truly been a boulevard of dreams for various upwardly mobile immigrant and ethnic groups, yet it has also seen the darker side of the American dream. Constance Rosenblum unearths the history of the street and its neighborhoods through a series of life stories and historical vignettes. The story of the creation and transformation of the Grand Concourse is the story of New York—and America—writ large, and Rosenblum examines the Grand Concourse from its earliest days to the blighted 1960s and 1970s right up to the current period of renewal. Illustrated with historical photographs, the vivid world of the Grand Concourse comes alive—from Yankee Stadium to the unparalleled collection of Art Deco apartments to the palatial Loew’s Paradise movie theater. Cultural historian and journalist David Freeland has published his latest book,Automats, Taxi Dances, and Vaudeville: Excavating Manhattan’s Lost Places of Leisure, a rediscovery of the historic remnants of New York City’s leisure culture, including bier gartens in the Bowery, music publishers on Tin Pan Alley, jazz clubs in Harlem, and other locations throughout the city that remain partially intact, but obscured by the city’s development. From the lights that never go out on Broadway to its 24-hour subway system, New York City isn’t called “the city that never sleeps” for nothing. Both native New Yorkers and tourists have played hard in Gotham for centuries, lindy hopping in 1930s Harlem, voguing in 1980s Chelsea, and refueling at all-night diners and bars. The island is packed with places of leisure and entertainment, but Manhattan’s infamously fast pace of change means that many of these beautifully constructed and incredibly ornate buildings have disappeared, and with them a rich and ribald history. David Freeland serves as a guide to uncover the skeletons of New York’s lost monuments to its nightlife. With an eye for architectural detail, Freeland opens doors, climbs onto rooftops, and gazes down alleyways to reveal several of the remaining hidden gems of Manhattan’s nineteenth- and twentieth-century entertainment industry. From the lights that never go out on Broadway to its 24-hour subway system, New York City isn’t called “the city that never sleeps” for nothing. Both native New Yorkers and tourists have played hard in Gotham for centuries, lindy hopping in 1930s Harlem, voguing in 1980s Chelsea, and refueling at all-night diners and bars. The slim island at the mouth of the Hudson River is packed with places of leisure and entertainment, but Manhattan’s infamously fast pace of change means that many of these beautifully constructed and incredibly ornate buildings have disappeared, and with them a rich and ribald history. Yet with David Freeland as a guide, it’s possible to uncover skeletons of New York’s lost monuments to its nightlife. With a keen eye for architectural detail, Freeland opens doors, climbs onto rooftops, and gazes down alleyways to reveal several of the remaining hidden gems of Manhattan’s nineteenth- and twentieth-century entertainment industry. From the Atlantic Garden German beer hall in present-day Chinatown to the city’s first motion picture studio—Union Square’s American Mutoscope and Biograph Company—to the Lincoln Theater in Harlem, Freeland situates each building within its historical and social context, bringing to life an old New York that took its diversions seriously. Freeland reminds us that the buildings that serve as architectural guideposts to yesteryear’s recreations cannot be re-created—once destroyed they are gone forever. With condominiums and big box stores spreading over city blocks like wildfires, more and more of the Big Apple’s legendary houses of mirth are being lost. Cornell University Press has announced the publication of The Colony of New Netherland: A Dutch Settlement in Seventeenth-Century America in which Jaap Jacobs offers a comprehensive history of Holland’s colony along the Hudson River, from the first trading voyages in the 1610s to 1674, when the Dutch ceded the colony to the English. The book is available in paperback here. The Dutch involvement in North America started after Henry Hudson, sailing under a Dutch flag in 1609, traveled up the river that would later bear his name. The Dutch control of the region was short-lived, but had profound effects on the Hudson Valley region. In The Colony of New Netherland, Jaap Jacobs offers a comprehensive history of the Dutch colony on the Hudson from the first trading voyages in the 1610s to 1674, when the Dutch ceded the colony to the English. As Jacobs shows, New Netherland offers a distinctive example of economic colonization and in its social and religious profile represents a noteworthy divergence from the English colonization in North America. Centered around New Amsterdam on the island of Manhattan, the colony extended north to present-day Schenectady, New York, east to central Connecticut, and south to the border shared by Delaware, New Jersey, and Pennsylvania, leaving an indelible imprint on the culture, political geography, and language of the early modern mid-Atlantic region. Dutch colonists’ vivid accounts of the land and people of the area shaped European perceptions of this bountiful land; their own activities had a lasting effect on land use and the flora and fauna of New York State, in particular, as well as on relations with the Native people with whom they traded. Sure to become readers’ first reference to this crucial phase of American early colonial history, The Colony of New Netherland is a multifaceted and detailed depiction of life in the colony, from exploration and settlement through governance, trade, and agriculture. Jacobs gives a keen sense of the built environment and social relations of the Dutch colonists and closely examines the influence of the church and the social system adapted from that of the Dutch Republic. Although Jacobs focuses his narrative on the realities of quotidian existence in the colony, he considers that way of life in the broader context of the Dutch Atlantic and in comparison to other European settlements in North America. Jaap Jacobs (Ph.D. Leiden University), an independent scholar and writer, has been Visiting Professor of Early American History at Ohio University and Quinn Foundation Senior Fellow at the McNeil Center for Early American Studies and Quinn Foundation Visiting Professor in the Department of History at Cornell University. “Jaap Jacobs has read virtually everything about New Netherland, primary and secondary, in Dutch and English, and produced a model synthesis of social, political, and economic history for a colonial experience that has far too long been terra incognita. Jacobs is particularly strong in his ability to take a genuinely transatlantic perspective, detailing the many struggles within the Dutch West India Company over whether its North American interest was to be a colony of trade or a colony of settlement (or, indeed, a colony at all) as well as the efforts of the motley lot of a few thousand Europeans to recreate something resembling a society in New Amsterdam, Fort Orange, and points adjacent.”–Daniel K. Richter, Edmund J. and Louise W. Kahn Term Professor of History and the Richard S. Dunn Director of the McNeil Center for Early American Studies, University of Pennsylvania, author of The Ordeal of the Longhouse: The Peoples of the Iroquois League in the Era of European Coloni! “The Colony of New Netherland will convince specialists and students alike of the pivotal role played by the Dutch West India Company colony in seventeenth-century America.”–Joyce D. Goodfriend, author of Before the Melting Pot: Society and Culture in Colonial New York City, 1664-1730. Shirley W. Dunn, who has published two books about the Mohicans (The Mohicans and Their Land 1609-1730 and The Mohican World, 1680-1750 ) and has one in press, will speak on October 22nd at the Smithsonian Institution’s Heye Museum in Manhattan (a branch of the Museum of the American Indian) beginning at 6:00 pm. Her topic will be the Mohicans and the Dutch, and the she will deal with contributions of the Mohican Indians to Dutch settlement and to the Colony of Rensselaerswijck. The talk is free and open to the public.